The event was held on the reservation of the Agua Caliente Band of Cahuilla Indians, California. 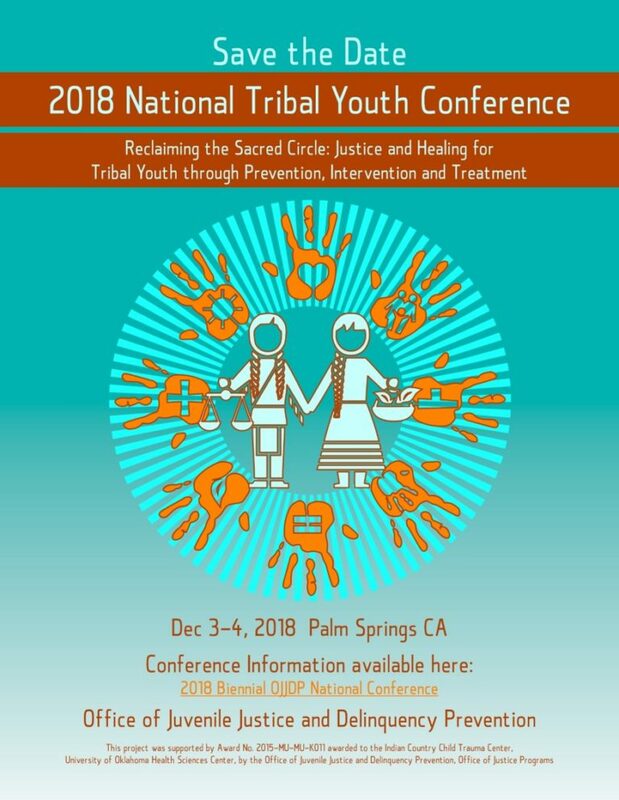 The meeting is a national gathering of OJJDP Tribal youth program and Juvenile Healing to Wellness Court grantees and other intervention, prevention and court-based programs serving Tribal Youth. This conference is coordinated by the Indian Country Child Trauma Center through a cooperative agreement with the Office of Juvenile Justice and Delinquency Prevention. This was a multi-track event which gave participants the opportunity to engage with Nationally recognized experts in the fields of Tribal juvenile justice, connect with other court-based programming, delinquency prevention, intervention and community based efforts, and learn about strategies to support and promote safety in Tribal communities.